This two-bedroom blank slate with a split-bedroom layout and pre-war architectural details is a rare diamond in the rough that you can own and polish to your liking just outside the hustle and bustle of the Yankee Stadium/Borough Hall/Court Complex corridor where you can walk to all and be one stop from Manhattan on the B/D and three stops on the #4. 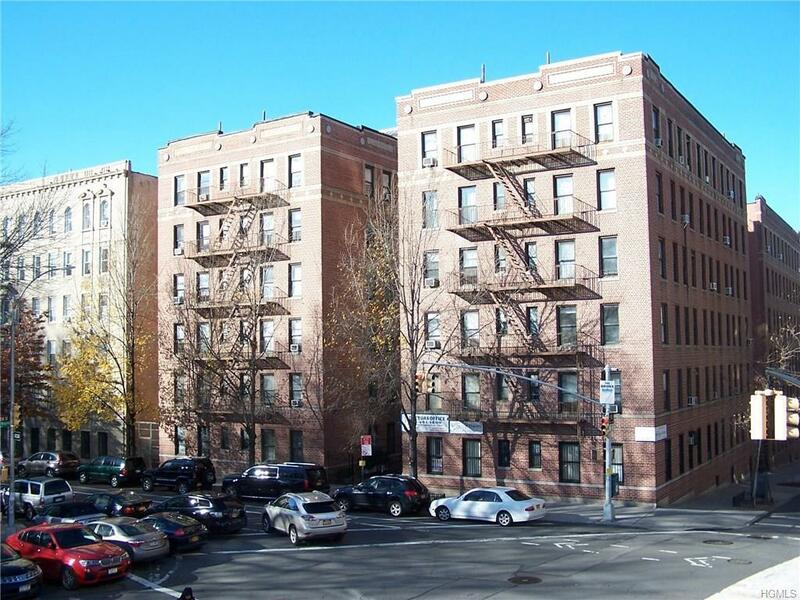 Located at Walton Ave and E. 158th Street, this second-floor walk-up with east and north exposures catches the light from Franz Sigel Park across the street in a pet-friendly building with laundry, low maintenance ($635), no minimum downpayment, a live-in super and porter in the sweet spot of the Grand Concourse Historic District with shopping, dining, movies, public parks and recreation facilities, transportation, and highway access. Opportunity is knocking in the New Year. Answer it and watch the trees in the park bloom outside your windows this spring. Listing courtesy of Linda Mancini of Key Real Estate Services, Llc.